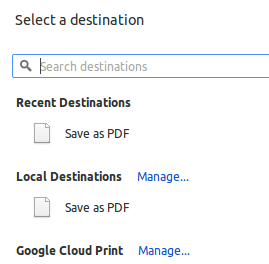 When printing from Chrome and ChromeOS the docs say you should be able to Save to Google Drive. 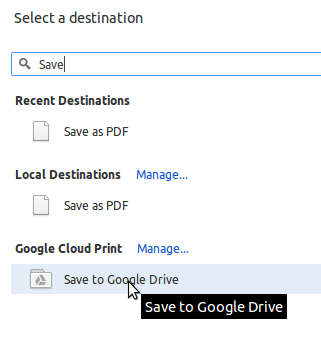 After a second or two the 'Save to Google Drive' option will come up, and you can click it. Thereafter it should be remembered, and even if its not, you can repeat this process.